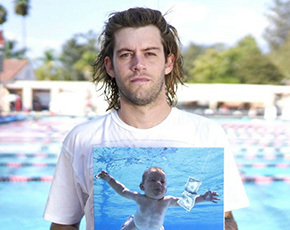 The Nirvana Baby, Spencer Elden to appear at NFCC 2019! Spencer Elden, who can be seen (as a baby) on the cover of Nirvana’s iconic second studio album “Nevermind”, will be making a rare appearance at Niagara Falls Comic Con this June.”Nevermind” included some of the band’s greatest hits like “Smells Like Teen Spirit” and “Come As You Are”. Spencer will be appearing all three days. Previous PostPrevious Star Wars Icon Billy Dee Williams joins NFCC 2019! Next PostNext Karate Kid’s Martin Cove joins NFCC Lineup!